We have carved a niche as a trusted Manufacturer, Exporter and Supplier of Stainless Steel Seamless Pipes & Tubes in India. We strictly follow the set industrial standards and norms in order to come up with high-grade AISI 317 Stainless Steel Seamless Pipes & Tubes. 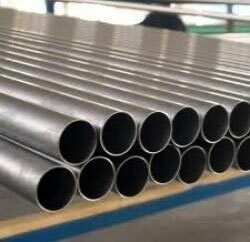 Our SS Seamless pipes and tubes can easily withstand corrosion, extreme temperature and chemicals. Buyers can obtain our AISI 317 SS Seamless Pipes & Tubes at nominal rates.